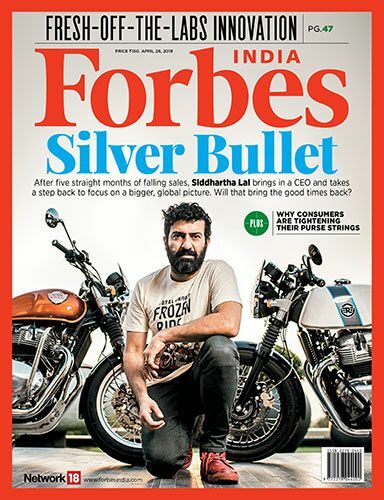 I handle the 'Life' section of Forbes India. In previous lives, I was an advertising creative director, voice-over artist, RJ, TV host, web producer and content architect, freelance travel writer, columnist, and consultant to NGOs. I've been blogging since 2003, and co-founded the South-East Asia Tsunami & Earthquake and Mumbai Help blogs (which, with other similar initiatives later became the WorldWideHelp group), and the writers’ community, Caferati. I'm a keen student of collaboration and online culture. I also co-curated the Literature section of the Kala Ghoda Arts Festival from 2006 to 2012. Aside from Twitter (link below), you could also follow me on Facebook or Google+. Are you an achiever under 30? We want to hear from you! Our article on the World Economic Forum's Gender Gap Report 2014 looked briefly at India's position. There's a lot more, of course, and below, we have a few more details on how India fared against the rest of the word on the individual counts that the report covered. The names of the best performing countries in each category are in green, and the worst performers are in red. India, unless best or worst itself, is in black text. Only 49 other countries, of 144, have had a woman head of state in the last 50 years. The abbreviation “female head of state” is used to describe an elected female head of state or head of government as per the Report notes. While the head of state position may be ceremonial in function, based on an extensive literature review when developing the index methodology, we decided to count such roles when based on a democratic process, in order to take into account the “role model effect”. An example similar to India would be Ireland. The full Global Gender Gap Report 2104 can be downloaded here.